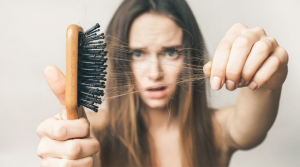 CHEVY CHASE, MARYLAND, UNITED STATES, February 5, 2019 /EINPresswire.com/ -- Deciding what hair loss treatment is right for you can be difficult without the right guidance. With years of experience, Dr. Hadi Michael Rassael1 offers advice on follicular unit transplantation. As a skilled surgeon, Dr. Hadi Michael Rassael is constantly asked for his advice on hair loss treatment. With a commitment to providing patients with the very best treatment, Dr. Hadi Michael Rassael works closely with his patients to craft a tailor-made plan specific to each patient. When it comes to hair loss treatment, Dr. Hadi Michael Rassael always recommends coming in for a personal consultation before getting started. Follicular unit transplantation is a hair restoration option that uses tiny follicle grafts that are taken from a donor site on the individual patient's scalp and carefully transplanted onto the bald area in order to create sustained living hair that grows into the balding spots. Follicular unit transplantation can yield impressive results simply because these grafts are small and only contain one to four hairs, leading to a much more natural looking result for the patient. Dr. Hadi Michael Rassael recommends2 this procedure for patients who are in good health and have experienced male pattern baldness, hair loss due to scars, burns and trauma, or even do to facial surgery procedures. Dr. Hadi Michael Rassael typically recommends surgery for a variety of age ranges after a private consultation. Because of this unique approach to hair loss recovery, the procedure will typically be performed at peak baldness, or when the patient has completely lost their hair to yield the best overall results.